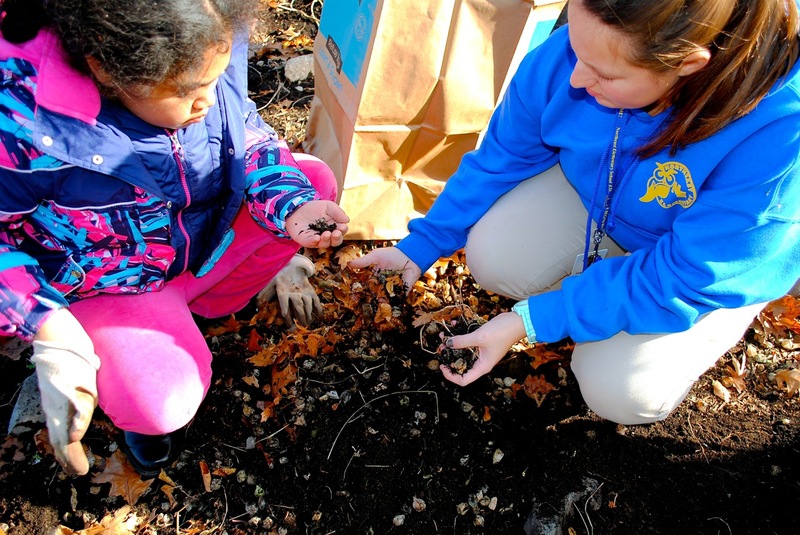 In the spring of 2009, Healthy Waltham helped assemble a team of students, families, and volunteers to build a garden at Northeast Elementary School. Sheltered from the wind by the school’s walls and the surrounding forest, the garden takes advantage of the full sunlight in its hilltop location. The raised bed has provided bounty as well as beauty, growing tomatoes, basil, and strawberries alongside colorful marigolds and zinnias. Under the cafeteria windows, the gardeners incorporated cucumbers, peppers, and raspberries into the ornamental landscaping. In the spring, the first graders planted a pumpkin patch to produce pumpkins for Halloween! 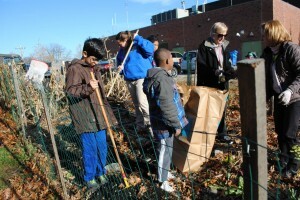 Healthy Waltham expanded the Northeast garden in 2012 to include a new raised bed, doubling its size. Today, the garden is actively maintained by the special education and science teachers for their classes and provides many lessons for these children.